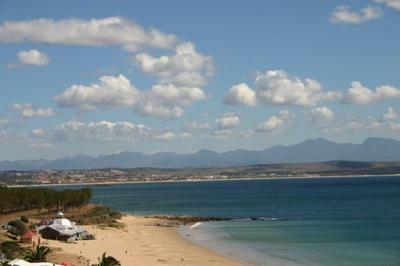 How many people inhabit Mossel Bay? There's around 30,000 people living in this city, as of 2001, but there's been quite a population growth in recent years. South Africa has 11 official languages in total. 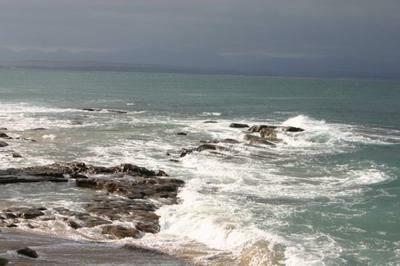 Of these, the most common spoken in and around Mossel Bay are Afrikaans, Xhosa and English. The currency used here is the South African Rand (ZAR). 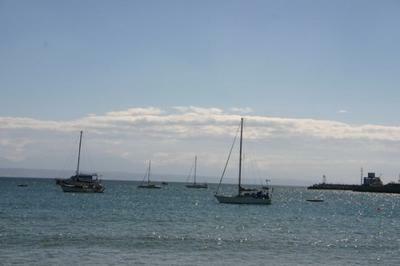 What’s the most popular attraction in Mossel Bay? 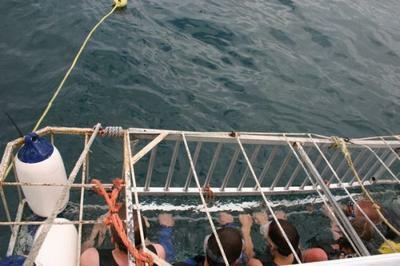 You’ll find that a huge number of the travellers who arrive in Mossel Bay come here with one goal in mind – to go cage diving with great white sharks. To achieve this goal, they take a trip with White Shark Africa. This company runs daily trips (weather permitting) where they take people out for an up-close and personal encounter with the infamous great white shark. If you’re not up for the cage, don’t worry. You still get amazing views of these fascinating creatures from the boat. Is there anything else I should see or do while I’m there? Plenty! 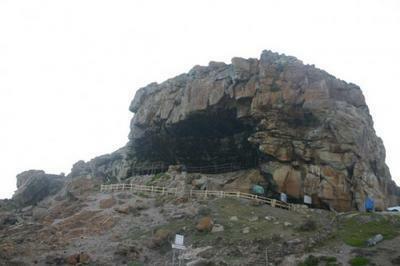 Take a stroll over to the Point and check out the Cape St. Blaize Cave. This cave is 10 metres high inside and looks out over the ocean, providing great views of the coastline. In and around the cave you’ll see numerous furry little creatures scurrying about. These are called dassies in South Africa and are known as hyrax to the rest of the world. To see the huge colony of Cape fur seals camped out at Seal Island, go on one of the Romonza Boat Trips. As well as getting the chance to see these seals going about their daily lives, you’ll also learn a lot about them from the on-board tour guide. 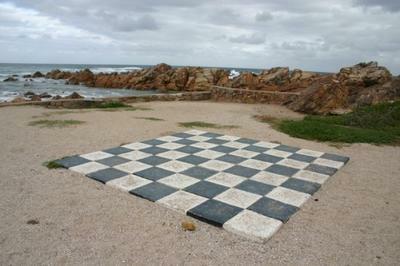 The Bartolomeu Dias Museum Complex is another popular attraction here in Mossel Bay. It’s named after Bartolomeu Dias, a famous Portuguese explorer who arrived in Mossel Bay back in 1488. The complex includes the famous 500-year-old Post Office Tree, the Shell Museum, the Maritime Museum and plenty more. 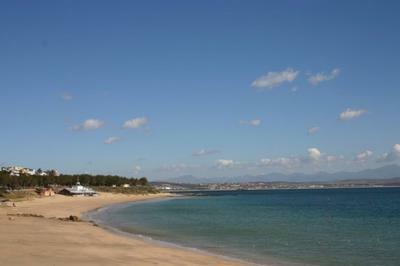 Spending some time on Mossel Bay’s beautiful beaches should be at the top of your list of things to do for free here. 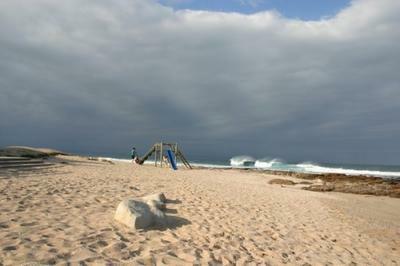 Santos Beach, which has been awarded a Blue Flag, is a long stretch of golden sand. Plenty of people come here to lie out under the sun, go for a dip or stroll along the strand. About 10 minutes' drive from the town centre you’ll find Diaz Beach, which stretches along three kilometres of coastline. Here you can collect some shells as you walk along the sand or cool down with a swim in the ocean. 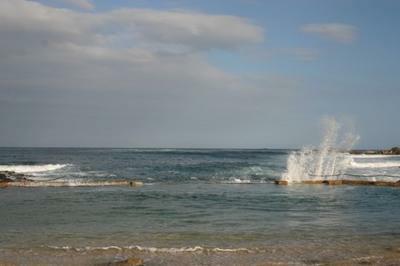 The St. Blaize hiking trail follows the coastline for some 13.5 kilometres, from the Cave to Dana Bay. All along the trail you’ll encounter stunning views of cliffs, the ocean and the coast. If you’re lucky you might even catch a glimpse of sharks or whales in the ocean below as you walk along. If you’re planning to do this hike, it’s a good idea to organise to be collected at the end of the trail. Most likely you won’t need your ID when you go out; however, it’s generally a good idea to bring some form of identification with you, just in case. What bars would you recommend? Patrick’s, a long-running favourite on the local bar scene, is now under new ownership and has been revamped accordingly. Inside you’ll find plenty of flat-screen TVs showing a number of top sporting events. You can enjoy your drink in here or out at one of the tables outside while you watch the world go by. Located on Mossel Bay’s main drag, this bar offers some great cheap draught beer specials. If cocktails are more your thing, check out Pirates Tower over at Diaz Beach. Head up the stairs into the bar and you’ll be met with a dazzling view of the sea stretched out before you. On top of that, there’s a great selection of reasonably priced cocktails, spirits and beers available from the friendly bar staff. Trawlers on Marsh Street is somewhat of an institution here in Mossel Bay. Drinks specials on brandy and beer will keep the drinkers happy, while the hustlers can test their skills at the bar’s pool table. Over at the Point you’ll find Big Blu which, as the name might suggest, sports plenty of blue in its décor. Here you’ll find regular drinks specials covering everything from beers to shooters. These specials are especially good value during ‘Wednesday Madness’. Well, if you want to try your luck at the blackjack tables, why not head out to the Garden Route Casino? About a 10-minute drive from Mossel Bay, this casino is home to more than 400 slot machines plus roulette tables, Texas Hold’em and plenty more. Is it expensive to eat out in Mossel Bay? It’s not! You should be able to get a delicious and filling meal here for $10 or less. Well, if you like an awesome view with your food, check out Delfino’s at the Point. Sit at one of the outdoor tables for awesome sea views. On the menu here you’ll find a wide variety of affordable dishes including everything from calamari to pizzas. If you’ve spent the night before sampling Mossel Bay’s nightlife and need a pick-me-up the next day, head to Buonissimo on Marsh Street. Not only does it do great coffee, but there’s also an all-day breakfast to sink your teeth into. For a tasty lunch, try Santos Express Train Lodge Restaurant, which overlooks beautiful Santos Beach. Here you’ll be able to sample salads, sandwiches and burgers as well as a selection of South African specialities. One of the best places to eat in Mossel Bay is also one of the town’s top bars, namely Café Havana on Marsh Street. The extensive menu includes everything from surf'n'turf to tempting burgers accompanied by chunky homemade fries. A lip-smacking array of colourful cocktails is also served up here. 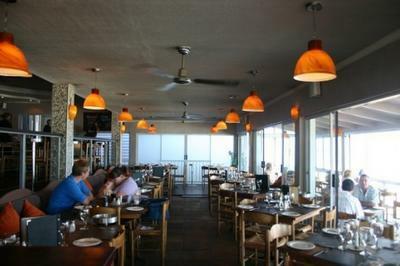 The Sea Gypsy Café over at Quay 4 in Mossel Bay Harbour is a great spot to go to try some local seafood. The restaurant overlooks the bay area and serves up prawns, oysters, line-caught fish and lots more. Can I walk around town? Sure! 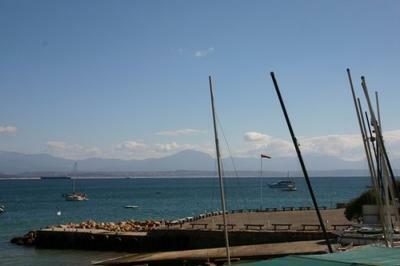 Getting around Mossel’s Bay central area on foot is totally doable. However, if you want to go a bit further afield to places like Diaz Beach and the Garden Route Casino, you’ll have to use some form of transport other than your own two feet.